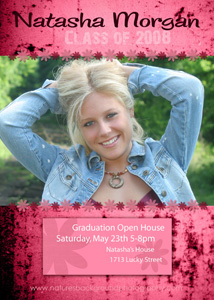 These aren’t real invitations, so don’t try to crash these parties. 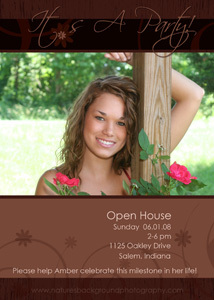 to design your own invitations. Call our studios for prices. 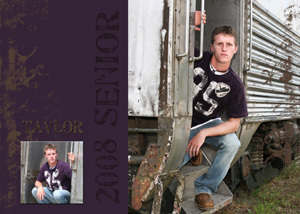 It’s not to early to start planning your senior pictures. 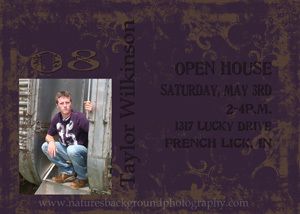 Schedule your appointment by May 31st and you will receive 48 free wallets!! We don’t have to actually take the pictures by then, just have an apptointment made. We know students are busy over the summer with camps, sports and family vacations, so check your schedule and give us a call at 936-2295. 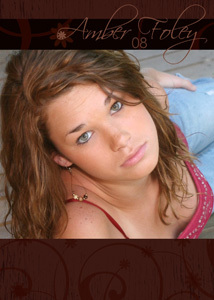 FYI: Girls who are wanting some of their pictures taken in creeks as you see on the front of our brochure. You need to schedule those appointment by early June. Those creeks here in southern Indiana really dry up once the weather gets too hot. We had several girls who waited until late August this past year and could not get what they wanted, because the water had turned to mud. The next time Easter will be this early (March 23) will be the year 2228 (220 years from now). The last time it was this early was 1913 (so if you’re 95 or older, you are the only ones that were around for that!). Pretty interesting huh! So all you Easter Bunnies–Get shopping! !